Paul is a Senior Executive in a large private sector company that has some KPIs but they’re not great KPIs. If you’re anything like Paul, you’re searching for quick ways to ramp up the value of and engagement in performance measurement in your organisation. Go for the KPI Quick Win. 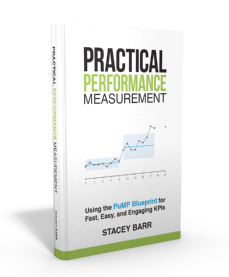 One of the best ways to start changing people’s ideas about the value of performance measurement is to give them examples or experiences of exactly how it has transformed performance. And the KPI Quick Win is how to do that. 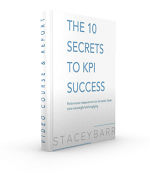 Essential steps in getting your KPI Quick Win. After you get your KPI Quick Win. Don’t rush to overhaul your organisation’s entire performance measure system just on the success from a single quick win. Many people will need more convincing, they’ll need to see how it might work in their functional area, and they’ll need to learn and understand the techniques of good performance measurement to build their confidence and conviction. So right after your first KPI Quick Win, see if you can get enough people interested to participate in another Quick Win, and run two or three of them in parallel. 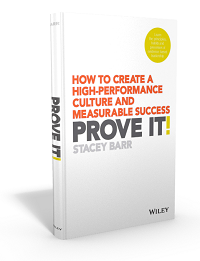 Let the confidence and conviction grow organically, and when you have a critical mass, you’re ready to develop a comprehensive organisation-wide performance measurement system. That’s what a methodology like PuMP will help you do. TAKE ACTION: The best action I can suggest to get your KPI Quick Win is to get started today. In a week or two, you’ll have your quick win.